Harmony Montessori School values providing a rich educational experience for all children. The annual auction ensures we are able to reach more children within our SE community and is essential for the enrichment of our school. The auction is our primary fundraiser for our financial aid program and our children’s fund. In addition, we are committed to sponsoring one child each year through our Children’s Fund, which pays for the tuition of one child to attend from the beginning of their enrollment through their kindergarten year, minus some small percent of each year’s total tuition for which the family is responsible.The Children’s Fund is intended to encourage diversity in Harmony’s population. Enrollment of non-native, non-English speaking, local community members is a priority. A committed team of volunteers works throughout the year to collect auction items and plan a thematic gala event with the mission of building our diverse community through the raising of funds for financial aid. Harmony’s School Auction this year is on May 4, 2019 at The Madeline School. We hope you’ll mark your calendars to join us. May the 4th be with you! Thank you for your support of Harmony Montessori School! Give us your morning! 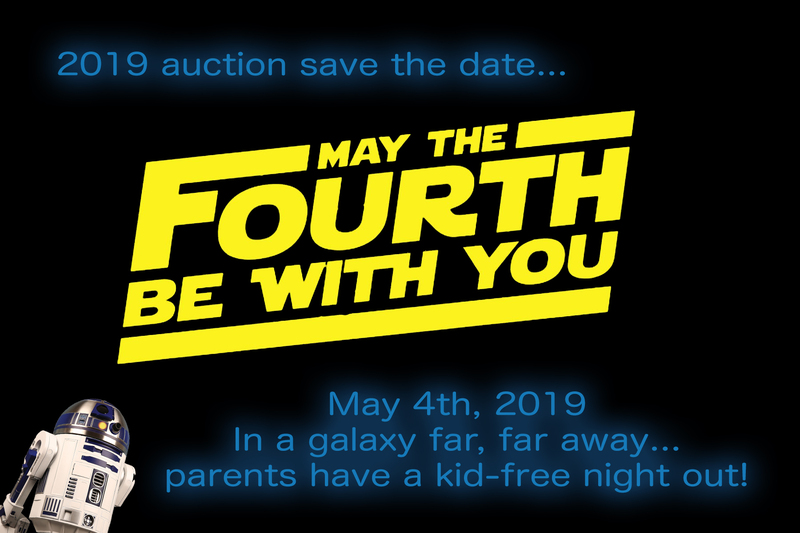 Saturday, May 4th, is a busy day, with folks needed to transport auction items from Harmony to The Madeline School, decoration assistance, and all-around set up help. A few hours or all day, we can use you! Email hms.auction@harmony-montessori.com to volunteer. Work the Auction! We have loads of jobs to assign that evening. Again, email hms.auction@harmony-montessori.com to volunteer. What’s a buy-in? It’s a fabulous opportunity for you to be involved in the auction, spend time with other Harmony families, and help the school make some money! A buy-in is an event that you host that folks can sign up to attend. Each item donated by a community member counts for 1 of your auction share hours.